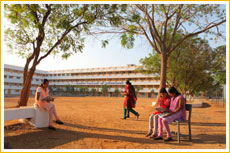 Students avail services offered at medical centre situated in the KAVERY INSTITUTION. The health clinic with residential doctor at specified hours offer their services with sick room and 24 hours ambulance service in the campus is functioning round the clock. In	future, our Institution has a plan to set up a Medical Centre in an area of about 500 sq.ft. A Physician will also be made available round the clock.